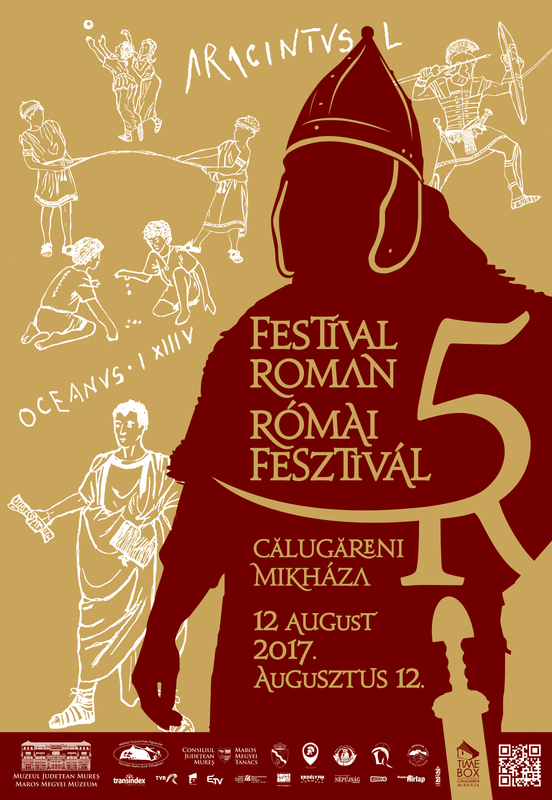 The fifth edition of the Roman and Renaissance Festival from Călugăreni (H: Mikháza; Eremitu, Mureș County) will be organized on the 12th of July 2017. The visitors will have the possibility to participate at the interactive workshops held in the courtyard of the Barn Theatre and at the Franciscan monastery, to visit the exhibitions in the TIME BOX pavilions as well as the ongoing archaeological excavations from the headquarters (principia) of the military fort and from the Roman bath house. Beside the workshops and activities already established in the former years (military parade, gladiator fights, thematic exhibitions, Roman kitchen, mosaic workshop, lamp and terracotta workshop, blacksmithing, theatre, hairdressing, tailor’s workshop etc.) the main topic of the festival will focus on childhood and education, which will be presented in the frame of several interactive workshops and museum pedagogical activities, like Roman school, amulet workshop, Roman games, Latin language contest. Another novelty will be represented by the activities on the same topic carried out in the courtyard of the Franciscan monastery, which will focus on school and education in the context of the monastic life (Latin language (catechesis), arithmetic, natural sciences, geography, and botany) and by the Renaissance dance show. The event will finish with the Early Music concert held by the Flauto Dolce Group and with the traditional torchlight parade. This entry was posted in Events, News by Limes Dacicus. Bookmark the permalink.